This book is now available in bookstores nationwide. There was a time in the recent pre-internet days when no self-respecting intrepid traveller would have left home without a copy of a Lonely Planet guide. They were the original crowd-sourced datasets of the best places to stay, eat and see in any given country or continent. The trouble is, with many of the more exotic locations constantly reinventing themselves, these vast phonebook thick tomes became outdated and obsolete. The internet has spawned a vast spider’s web of knowledge snippets and rated accommodations. Everybody had visited that out of the way cafe in Kabul, or found the secret stair well in the Leaning Tower of Pisa or learned to negotiate the prices down in the Catacombs. The knowledge font that was Lonely Planet, was now treasured data shared and sprinkled widely. Which leads to the question: What does the publication do now? Well, actually it’s still surviving as a website, as a source of quality information and as a publisher, too. In 2013, the company formerly owned by BBC Worldwide was bought up by billionaire Brad Kelley’s NC2 Media empire, to become a blog/info site and travel company portal. The integrity of individual travel experiences remained along with the glossy façade of travel romance and intrigue. And this is where this book comes in. In a sense, it’s a return to that romance of travel against all the clutter and distractions of local politics, wars and anti-terrorist body searches. The look and feel of this book tries to capture the wonder of a time when exploring the world was a dream worth going to sleep for. And the reason we go in the first place. Even the cover has certain glamour about it. Don’t you want to visit the great palace built upon one of the greatest love stories ever: The Taj Mahal? It’s a high glossy book more of inspiration and a starting point for any traveller considering adventure. There are several categories, which the book uses not as a rating system but more as a simple point of reference. 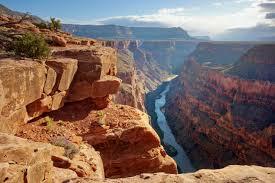 There’s ‘Natural Wonders’ which feature the obvious Grand Canyon and Mt Everest along with the nigh impossible such as the amazing Northern lights of the Aurora Borealis, best viewed in Northern Russia, Scotland, or even Norway, though temperatures will plummet to -30 degrees centigrade.To help you out there’s a few facts about what else you might do while you’re in the region, plus a science lesson about how the phenomenon came about in the first place. There are also the obvious ‘Man Made Wonders’ from Ankor Wat to Eiffel’s Tower and of course, The Taj Mahal. Again there’s a short 360 of the place, history and what else to do whilst there. In a more practical sense there’s little information that will date, like tour prices or cheap eats nearby or even which hostel has sheets included in the tariff. For that you’ll have to consult the great WWW – although the Lonely Planet website will hook you up on that stuff. So, if you’ve ever asked ‘how did they built that or how did that come about?’ then this is a good place to start. It’ll unlock the secrets of 50 of the world’s most extraordinary natural and man-made wonders to explain how amazing these famous sights really are. There are photos, maps, and scientific diagrams galore. Sadly for the traveller there is no Kindle, Konbi, Bluefire or iPad version as yet. Which does seem a bit nuts, given the opportunities to interact with the real world whilst exploring the wonders of it! But, as mentioned, this is a book for inspiration. It’s a little small for a true coffee table book and pretty light on details. There are some stunning photos and competent diagrams, clearly produced by the redundant book illustrators of Encyclopaedia Britannica but still, as a book for inspiration it’s a good starter. 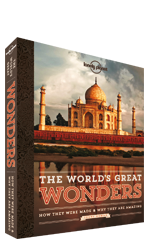 This entry was posted in Book review, International Non-fiction and tagged jheni osman, lonely planet, the worlds great wonders, tim gruar, travel book, travel guide by booksellersnz. Bookmark the permalink.